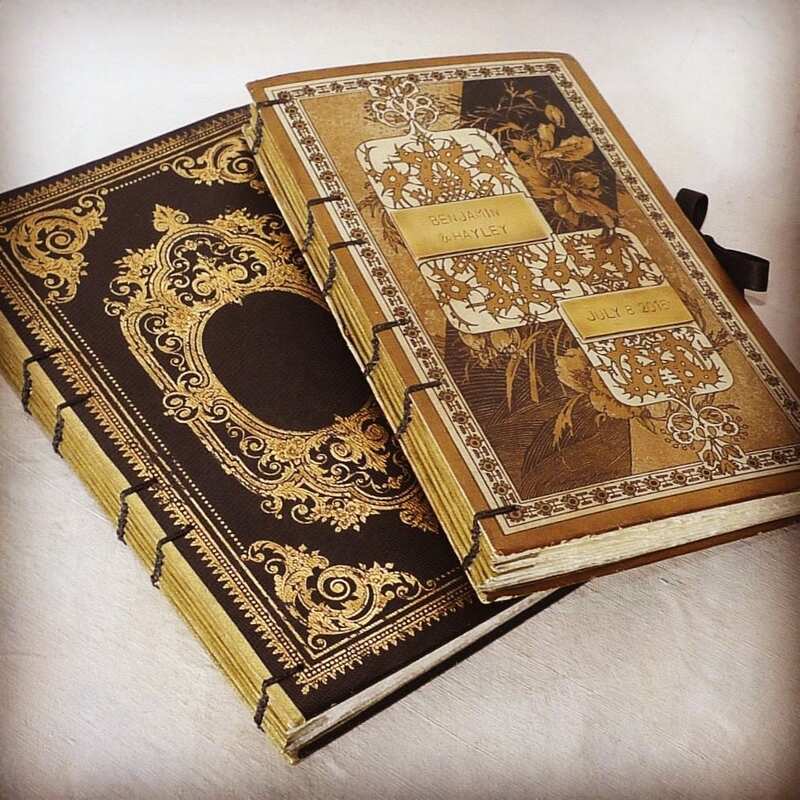 Looking for an unconventional guestbook or journal for your treasured memories? 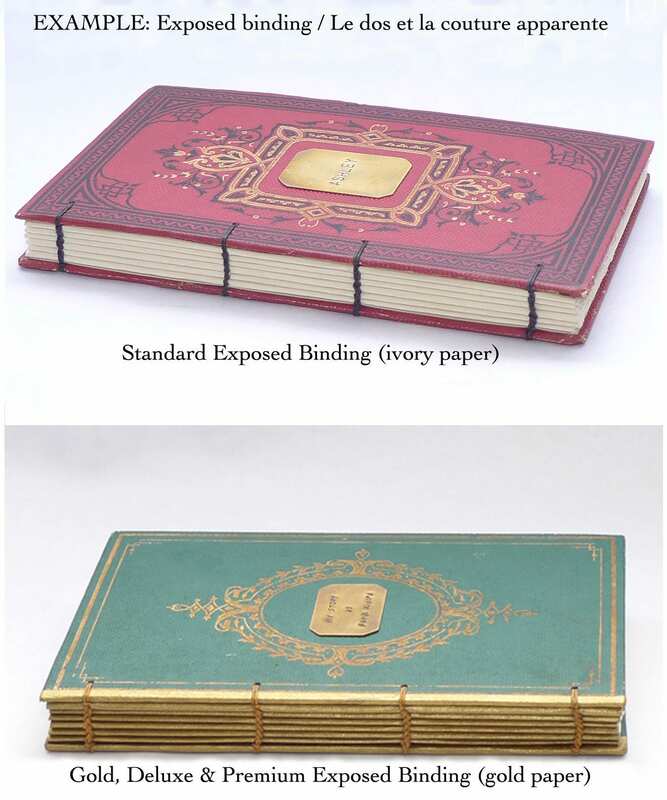 Spellbinderie offers custom made blank books using antique books. 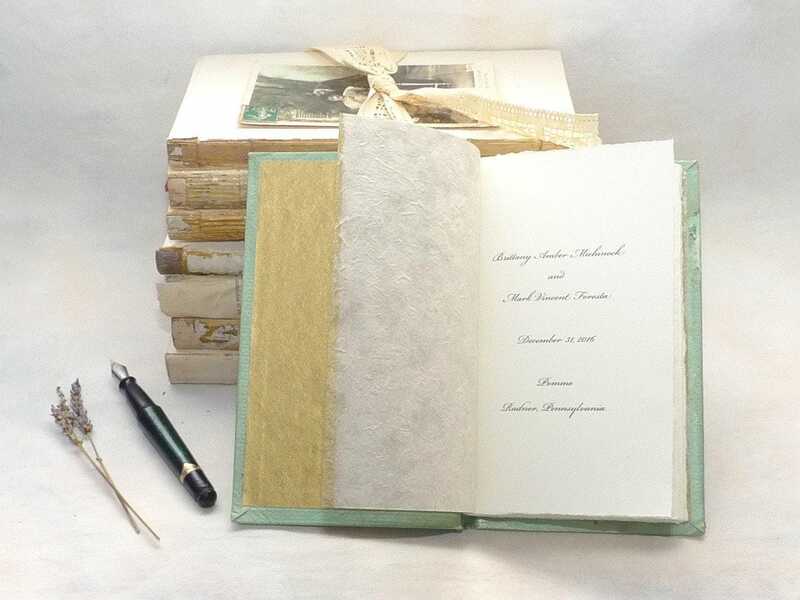 These books are rebound with new hand-torn paper for a unique keepsake with timeless charm, perfect for your treasured memories. Attention: photos show sold guestbooks for reference only. Each order is one-of-a-kind, no reproductions. To see current book selections, please return to the shop home page and use the menu on the left to browse by size. Current inventory is generally shown in an unaltered state so a bit of imagination is necessary when viewing as these books will take on new life when transformed! Don't see the book you want? Contact me with your deadline & details and I'll get back to you with what I find. Prices provided in this listing are for a standard size sourced antique book (around 5 x 8.5"). 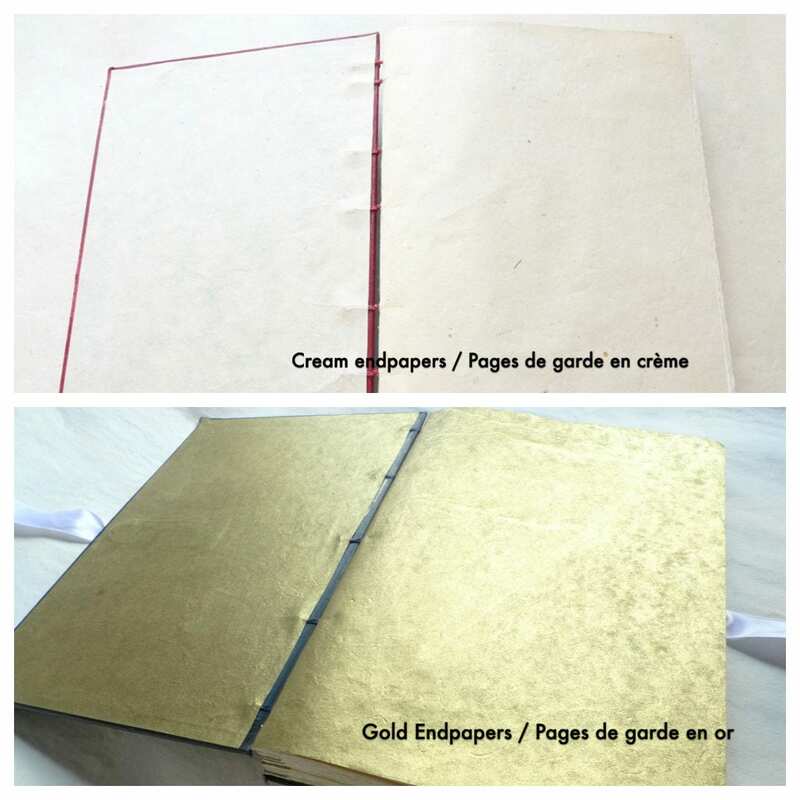 Popular packages offered below which come with 120 hand-torn ivory pages. Price quotes also available for a special package with your choice of options. We LOVE our guestbook - everything is perfect about this. Thank you so much for working with us to find the perfect book for our special day. Thank you!